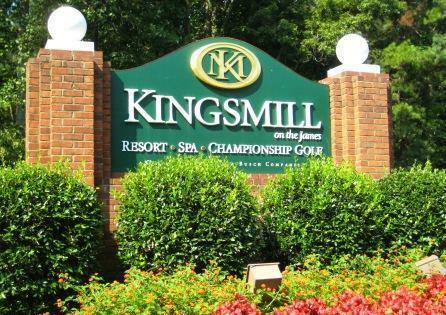 Located near historic Colonial Williamsburg, on the banks of the James River, Kingsmill on the James is one of Williamsburg Va’s original master planned golf communities. Set on 2,900 acres, Kingsmill offers a variety of exclusive neighborhoods set against a backdrop of green hills and forests. Consistently ranked among the best by the nation’s foremost golf publications, Kingsmill’s immaculate courses define the resort as the region’s premier golf destination. Arnold Palmer, Pete Dye, Curtis Strange, Tom Clark. An incredible group of legendary course designers have all brought their considerable skills to bear to create the three layouts that constitute the Kingsmill golf experience. The three Golf courses in Kingsmill are: the River Course, the Plantation Course and the Woods course. The 6,853-yard , par-71 Pete Dye-designed River Course has hosted the Michelob Championship at Kingsmill. The terrain flaunts hills, elevated greens, thick woods and water all around. than its sibling. It has water coming into play on eight holes. It is marked by historical landmarks from a 1736 plantation. Curtis Strange, the Kingsmill Touring PGA Pro, designed the Woods Course, Kingsmill’s newest addition. It has been honored by Golf Magazine as a “Top Ten New Course You Can Play. “Its deep ravines, fairway bunkers and elevated greens offer a challenge. Dining: Five restaurants on site ranging from resort fine dining to casual family fare. THE BRAY DINING ROOM At Bray Dining Room, fresh, seasonal ingredients are the calling card for quintessential southern cuisine. Taste a crisp, refreshing peach tea and sink your teeth into a Po‐Boy rich in flavor. Finish it off with a delectable bread pudding. Kingsmill’s team of award‐winning culinary masters have developed an array of inventive dishes. Great pride is taken in presentation with each masterpiece artistically displayed and elegantly served. Panoramic views of the James River serve as a breathtaking backdrop to this fine dining experience. For those seeking an equally delicious yet more casual dining experience, The Bray Bistro offers a renowned Sunday brunch and Friday night Chesapeake Seafood Buffet which features prepared salads, main courses from the exhibition kitchen and a live action pasta station. EAGLES Dine in style as you enjoy views of Kingsmill’s River Course and the James River at Eagles. Eagles’ exclusive beechwood‐smoked cooking that involves cold‐smoking beef, chops, poultry and seafood over beechwood chips creates a signature taste. REGATTAS’ Unwind at Regattas’ and enjoy informal, lighter fare perfect for lunch or a casual family dinner. Taste and smell the flavors and aromas of Italy as pizzas are cooked to perfection inside an authentic wood‐burning oven. Other menu items include paninis and pastas. JAMES LANDING GRILLE Enjoy an evening outdoors with friends, live entertainment and great food. Open year-round, the James Landing Grille is an ideal setting for a memorable time. Enjoy time on the deck with friends and family and take in the fresh air and views of the adjoining marina as you dine on delicious food and enjoy live entertainment. Menu options include steaks, seafood and salads. THE MILL Step into the bakery and take in the comforting aromas of freshly‐baked breads. The Mill features coffees, lattes, mochas and espressos made from organic and fair‐trade beans roasted in Virginia for a truly local flavor. Throw in its smile‐inducing, seasonal ice cream menu and you’ve got the recipe for a Virginia favorite. Tennis: The Kingsmill Tennis Club offers 15 tennis courts, including six Hydro Courts,™ with two courts lighted for evening play. A newly renovated player’s lounge and locker facilities are also provided. Marina: Full-service marina includes 90 permanent slips with 15 transient boat slips, dockside fueling, a marina store and a Marina Bar & Grille. Rentals for kayaks, paddle boats, and jon boats; fishing and charter tours available. The resort is located 35 miles upriver from the Hampton Roads Bridge Tunnel and off channel marker #40 on the James River . It’s just a short cruise from the Intracoastal Waterway and the Chesapeake Bay . The marina offers concrete floating docks, increased slip size, water and power connections, dockside fuel service and harbor shop. itness: Equipped with both indoor and outdoor swimming pools, the Sports Club also features racquetball courts, Cybex and Kaiser circuit training equipment, state-of-the-art cardiovascular stations and an aerobics studio. A sauna, steam room, whirlpool, massage therapy and convenient babysitting services round out the membership. Recreation: Fishing & canoeing in spring-fed ponds, Biking & hiking trails, Outdoor pools. Spa: Full service spa offers a comprehensive array of restorative services, including massages, body and skin treatments, and specialized nail and hair treatments. Social clubs for residents: include a Watercolor Art Group , Needle Arts ,Boy Scouts, Cub Scouts ,Children’s Playgroup , Girl Scouts Sea Scouts ,Garden Club, Bible Study, Women’s Social Club , Men’s Golf Association, Ladies’ Golf Association ,Tennis Association, Sharks Swim Team, Yacht Club and more. Location: Kingsmill is located less than three miles from the College of William and Mary and the historic streets of Colonial Williamsburg- where dining, shopping, theme parks and history tours offer a variety of family entertainment. Heavily wooded home sites, custom built and custom designed homes, all utilities underground. This community preserves green spaces (40 percent of the property will remain untouched) and archaeologically significant areas. Mid-Rise Condominiums/Villas For Sale: On the James River, resales prices from $700,000’s. The River Bluffs condominiums are sited 80 feet above the banks of the James River, the condominiums offer panoramic views of the river and surrounding landscape. Condos For Sale: River’s Edge Luxury Villas located right on the James River; priced from $950,000s. 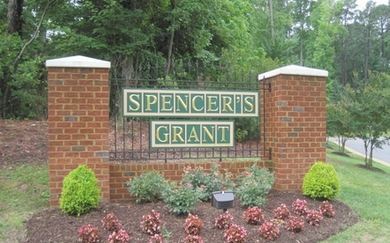 River’s Edge is comprised of 3,000 to 3,900-square-foot, custom-designed, deluxe townhomes overlooking the James River. The foundation of every room is the view; and you don’t have just one view, you have many, including vistas stretching out from the kitchen, the den, the living room, even the office and especially the master suite. The interiors feature hand-crafted, hardwood millwork, built-in bookcases, ceramic tile, marble, fixtures and appliances. River’s Edge owners can have as much detail as they desire. The only limitation is the moving of the structural walls. Residents also have a private auto court, leading to a two-car garage, plus a front porch, and a secluded, brick and stone textured terrace. Resort condominiums consist of cluster one, two, and three bedroom villas. Featuring outdoor terraces overlooking the James River, Wareham’s pond, one of the golf courses, and tennis club. Prices range from $200,000 to $700,000. These are the only properties in Kingsmill that can be rented by their owners on a weekly basis. Courtyard/Villas/ Patio Homes Single-family detached homes on smaller lots for minimal grounds upkeep, adjacent to the golf course. Low profile single story residences with private patios or decks designed for minimum maintenance and a carefree lifestyle. From $300,000 to $500,000. Most feature views of golf fairways and other natural scenery. Homes For Sale: Resale homes are available in Kingsmill with prices ranging from $300,000’s to $2 million . Williamsburg/ JCC Schools for Kingsmill are James River Elementary, Berkeley Middle School, Jamestown High School. Nearest Airports: (PHF)Newport News/Williamsburg, 20 minutes; (ORF) Norfolk International, 45 minutes; (RIC) Richmond International, 45 minutes. 1607. They decided to settle at Jamestown the next day. Located in the heart of Virginia ‘s Historic Triangle, it should come as no surprise that the land now known as Kingsmill featured a bustling plantation from 1619 through the 1800s. Kingsmill Plantation, the home of Col. Lewis Burwell, was built in the mid-1730s and consisted of a mansion, outbuildings, garden, and 1,400 acres. The house burned in 1843. Only the office and the kitchen still stand; they are among the earliest brick dependencies in Virginia. Burwell, the naval officer (colonial customs inspector) for the upper James River, built his inspection station here at Burwell’s Landing, which included a tavern, storehouse, warehouse, and ferry house. In Nov. 1775, American riflemen skirmished nearby with British naval vessels; later, the Americans built two earthen forts here that the British captured in 1781. Richard Kingsmill, who was granted one of the first land grants by the Virginia Company, initially purchased the land that Kingsmill Plantation was located. In the mid-1730s, colonial customs inspector and British Colonel Lewis Burwell III purchased 1,400 acres of Kingsmill’s original plot, and constructed a plantation with several other structures. The headquarters of his inspection station (Burwell’s Landing) was also located on the property along the James River, which included a tavern, warehouse, and ferry. Kingsmill Plantation saw action in both the Revolutionary and Civil Wars. As Patriot forces began to assemble near Williamsburg in the fall of 1775, the Colonial Governor of Virginia Lord Dunmore ordered that British ships patrol the James River to stop potential ferry crossings of these rebels. On Sunday, November 5th, militiamen from Chesterfield County began to assemble near Williamsburg with intentions to embark upon Norfolk. The British vessel the Kingfisher patrolled the river with three other supporting tenders, but failed in stopping a thousands Colonial militiamen from crossing the river. Despite this, the Kingfisher exchanged fire with a Colonial vessel at Burwell’s Ferry without any decisive action. At the end of the War in 1781, French forces under the Marquis de Lafayette utilized Burwell’s Landing as they docked and moved inland from there. Later that year in January, Colonial General Thomas Nelson and his militia foiled Benedict Arnold’s plan to land at Burwell’s Ferry. Many battles in the Civil War were also fought in the vicinity of Kingsmill Plantation. Union General George B. McClellan’s Peninsular Campaign engulfed the plantation, as an army of 120,000 men landed and moved inland through the area with the task of reaching Richmond. Several Confederate defensive lines also ran through the property such as the Warwick Line, and the Williamsburg Line. On May 6th of 1865, the Battle of Williamsburg was fought here where the Confederates lost 1,682 men and the Union lost 2,283.
psst … I’m a Realtor! Thanks for stopping by my website. I would love to help you find your dream home and community in the Hampton Roads or Williamsburg area or to sell your existing home. This post was authored by local resident and REALTOR, John Womeldorf. John is known around town as Mr. Williamsburg, for both his extensive knowledge of Hampton Roads and the historic triangle, and his expertise in the local real estate market. His websites, Mr Williamsburg.com was created as a resource for folks who are exploring a move to Williamsburg, VA , Hampton Roads VA and the surrounding areas of the Virginia Peninsula.